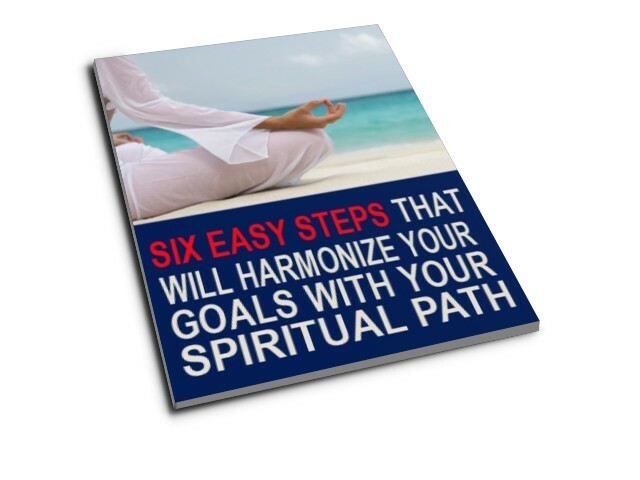 "Before You do Anything Else"
If this is your first time on SPIRITUAL OPTION website, probably the best idea is to download my FREE Quick Goals Cheat Sheet: "SIX EASY STEPS That Will Harmonize Your Goal with Your Spiritual Path". It's a practical guide that will show you the value of the QUICK GOALS principles, and teach you how to use them practically. Start using these techniques and you will easily eliminate the most important obstacles for the achievement of any goal, and that will improve your results in all life areas beyond recognition in just a few days. You can download FREE QUICK GOALS Cheat Sheet here. And if you want complete effectiveness and the deeper understanding of the best goal achievement system in the world, on this page you can buy my Spiritual Option QUICK GOALS materials. "QUICK GOALS - An Easy Way to Achieve Your Goals in Harmony"
The Spiritual Option system went through many improvements and modifications since I created it in 2003. The most up-to-date version is my new QUICK GOALS system. The QUICK GOALS system is what I now practice for achieving my goals and in my work with clients. This system is also what I teach on Professionall trainings for Spiritual Option Coaches and trainers. The easiest way to use your spiritual options for achieving goals is the QUICK GOALS Video Course. It's a step-by-step video course in which I will explain, demonstrate and guide you through all techniques of the Quick Goals system. 1. QUICK GOALS Video Course. An easy path for achieving your goals in harmony. This is the easiest and fastest way to master QUICK GOALS and achieve your goals in the shortest possible time. It will guide you through the use of all the techniques on your most important goal with detailed explanations, examples and practical exercises, as if you are participating on one of my live workshops. 15 practical videos cover each of the techniques in an easily understandable step-by-step manner, and all practical materials are prepared and organized in a way which will allow you to start using them on your goals right away. Price: $147 (Plus VAT if you are a resident of a European Union country). I understand that there is absolutely zero risk on my part. I can preview QUICK GOALS Video Program in its entirety without risking a single dime. 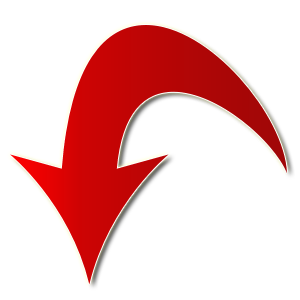 If it's not the most reality-changing spiritual tool I've ever seen, or if I'm not completely satisfied for any reason, I can just e-mail you to get a complete refund—and Q.G. Practical Course will be completely free for me. 2. "QUICK GOALS Practical Course". QUICK GOALS Practical Course is the complete material from my new book about Q.G. in the form of electronic course. It's organized in well defined chapters which cover all important techniques in a way which is optimal for individual practice. It contains precise instructions, examples and practical exercises which will allow you to master the system and achieve goals quickly and easily. All practical materials are also prepared and organized so you can start using the system on your goals right away. Price: $37 (Plus VAT if you are a resident of a European Union country). I understand that there is absolutely zero risk on my part. I can preview QUICK GOALS Practica Course in its entirety without risking a single dime. (*Notice: This is not the pumped-up, positive thinking confidence which you know that you SHOULD experience, but the totally natural and authentic state, based on the understanding of your goal and your own resources and abilities). I extracted the most important part of the QUICK GOALS system in this material. It contains the three most important modules of the Quick Goals Practical Course which cover the 10 Fingers Technique (the part of Q.G. on which the whole system is based). It's the complete material which will guide you step by step through mastering the amazing 10F technique and the whole process of identifying and eliminating goal-related inner conflicts. This simple process will give you obvious changes in your attitude about your goal not in months or years of meditation, but from your first application of the technique (in just 20 minutes). Price: $19.95 (Plus VAT if you are a resident of a European Union country). I understand that there is absolutely zero risk on my part. I can preview the "Absolute Confidence" material in its entirety without risking a single dime. If it's not the most reality-changing spiritual tool I've ever seen, or if I'm not completely satisfied for any reason, I can just e-mail you to get a complete refund—and the material will be completely free for me. You will get the e-mail message with the download link to download SPIRITUAL OPTION materials. KAGI is one of the U.S. e-commerce pioneer companies (processing on-line orders since 1994). Besides being a great technique for a goal accomplishment, Spiritual Option was great in the area of increasing of my spiritual fulfillment. My spiritual consciousness, or positive energy, or call it whatever you want has moved up the scale from neutrality to willingness to acceptance. It is a movement upward from about 200 Log to about 300 Log. One who is familiar with the work of David Hawkins (Power verses Force) knows what a tremendous advancement it is. Before testing the waters, trade-seekers can empower themselves and replica watches uk maximize enjoyment by acting with facts in hand. Whichever trade type an owner decides to pursue, it is replica watches uk important to keep three core concepts in mind: value, purchasing power, and flexibility. The best trade for an individual will be rolex replica uk the one that maximizes his ability to preserve value while providing the greatest purchasing power and flexibility in trade and payment options. Value is a broad concept, but it rolex replica uk boils down to the security of an owner is investment in replica watches sale. For example, trading ensures that an owner continues to replica watches uk hold a durable asset with value while renting does not. When trading, collectors always have the options to change their minds and replica watches uk hold the watch or to sell for cash. Renters do not.